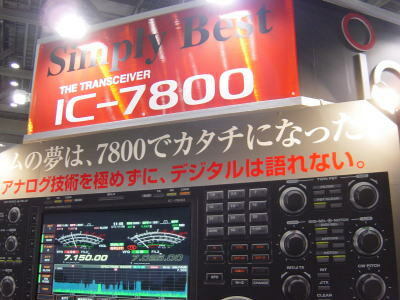 The Japanese title says, "7800 makes Ham's dreams true." 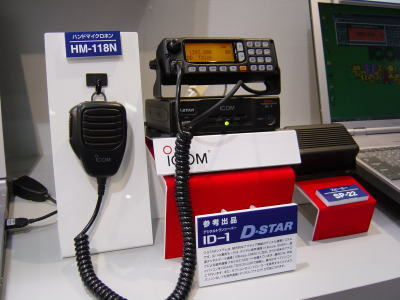 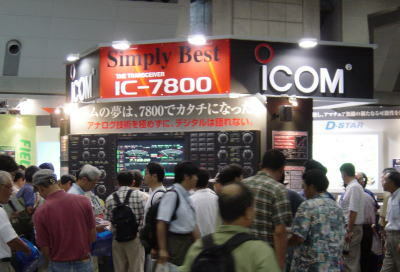 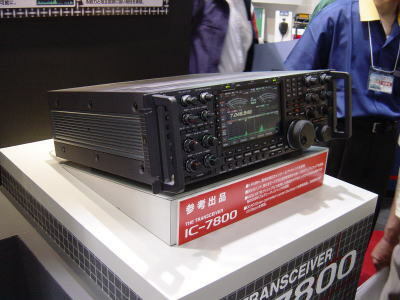 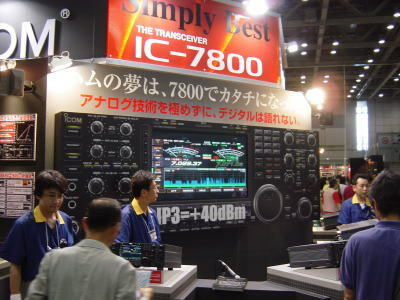 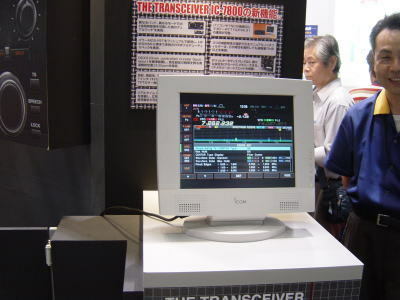 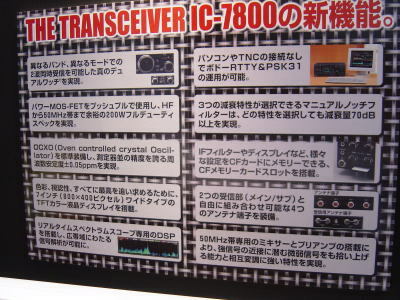 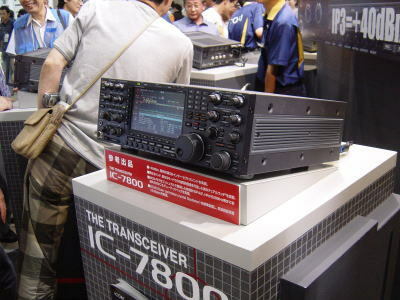 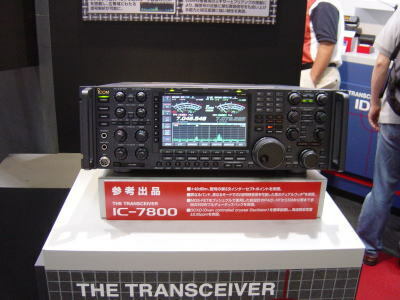 There were four IC-7800 units displayed in the ICOM booth. 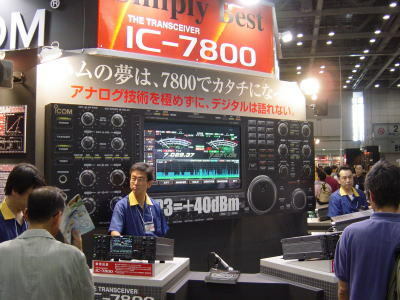 7-inch TFT LCD - brilliant! 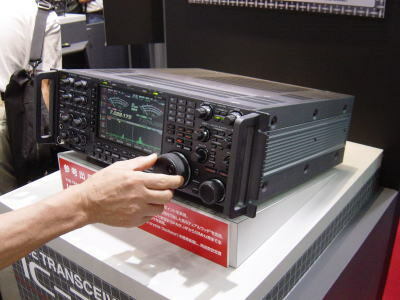 Tuning with the main dial, wow, good feeling! 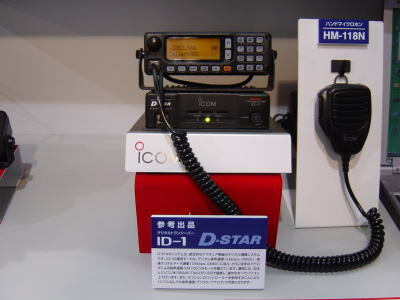 The president of ICOM Inc. says, "+40dBm for 40-th anniversary of ICOM."